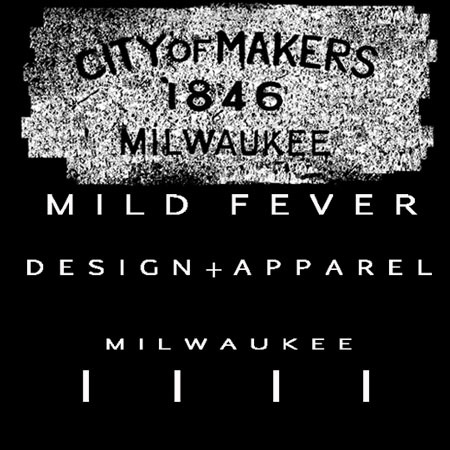 Expanding like a sponge with access to water, Milwaukee can’t help but ingest all the art it can get its dilated eyes upon. Gallery Night in Milwaukee is truly reaching major event status, even without complete buy-in from all of Milwaukee’s artistic strong holds. Through the window of the beautiful Shade Shop Building on Milwaukee and St. Paul, black and white projections of President’s faces shine through a black drape. As a passer by you must go in. Bryan Cera pulled all kind of crap, from all over the place for Some of the Lights, jury rigging an utter bastardization of multi-media consumer electronics, in the devastating can be used to describe a gorgeous person kind of way. Some computer device sits on a table with a two posable antenna protruding. It has a lime green screen with two half-inch vertical lines at the bottom left and right corners. A section at the top looks like it is ready to keep score. Could this be PONG! No, even better voice controlled PONG! Those to antenna were actually microphones, calibrated to move the PONG paddles up the side of the screen in proportion the decibel level and length the note held in your voice. The object of the game is to return the ball to your opponent by positioning the paddle with sound. The microphones amplified grunts, hums, and ahhhs used to steady the paddle, absurdly audible. A face sticks to the wall via illusion. A video projection of Cera is throw on a mold of a face from behind, a video recorded Cera talks in monotone non-sequiturs to whoever stands and stares. You notice some one on the way to the exit, heading past two square plastic dishes holding water. Inverted cones rise above the dishes, a cord hangs back into each dish. A digitized wail blares out, a you look for a robotic recreation of WALL-E. The person heading for the exit back tracks in front of the dish apparatus, cueing the sound effects. A motion sensor translates physical activity from objects in its range into audio frequencies. The sound bothers the water in the square dishes enough for a light to reflect shadows of concentric circles on the wall, commonly attributed to droplets returning to their source. Turning 1 of 4 knobs, sections of face from various Presidents rotate in view. Video projected on black cloth, crown, nose and chin are mixed and matched from assorted portraits of our nation’s past and present Executives. This entry was posted on August 6, 2011 by L.S. Trolley. It was filed under Visual Arts and was tagged with artist p.a., gallery, gallery night, mixed-media.